We hope you will enter here and find what you are looking for! We are a diverse group of Christians, who seek to care for one another, sustain, share and develop our Christian faith together. We see ourselves as part of the Methodist Church world wide, our fundraising and concerns for others reflect our global outlook. 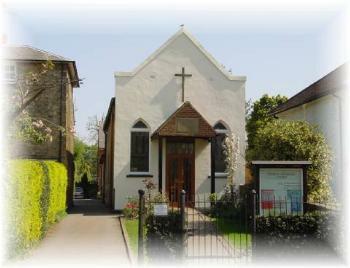 We also value our ecumenical links, especially with St Martin's Anglican Church. Our worship is both traditional and relaxed in style and we offer a variety of different groups for all ages. Whether you are looking for support, worship, friendship or Bible study you will be made very welcome. All of us know how difficult it can be to visit somewhere for the first time, our hope is that you will feel at home from the moment you enter our door. Email for a monthly newsletter for up to date service details and events.